Fully-Independent Suspension To achieve maximum traction, it's all about keeping your wheels on the ground all the time. That's why our independent suspensions have to be best in the business. The 10-inches of ground clearance and 10-inches of suspension travel doesn't hurt either. Dual Halogen Headlights with Light Bar The LED light bar/halogen combo provides a longer, brighter beam to extend the days' ride or finish up those "must get it done" chores. 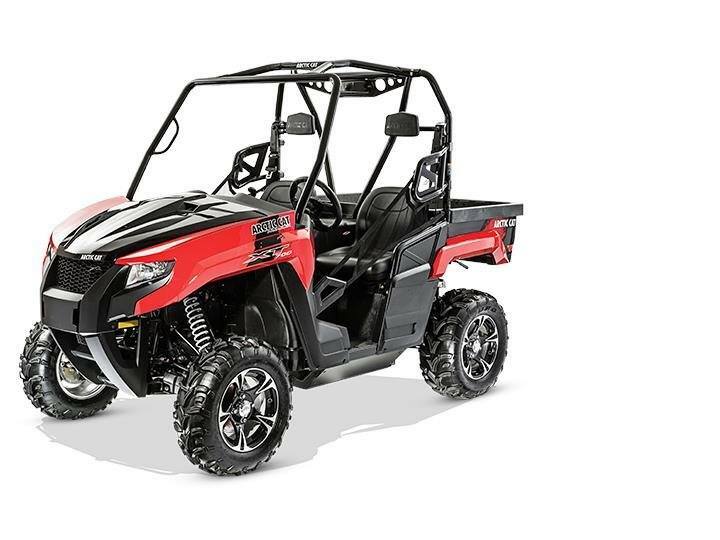 Redesigned Dash The Prowler XT has a completely new dash with all kinds of features. A shift lever for better ergonomics, cell phone cubby, large 1.9 gallon glove box, two 12 volt outlets and well-positioned Power Sport digital gauge. Automotive-Style Hood This hood opens from the front, just like your pickup. So it's easier to gain access to the massive 22.4 gallon underhood storage box. Plus you have easier access to the radiator and brake fluid reservoir. There's even a lever on the hinge to lock the hood in the upright position. High-Quality Surlyn Body Panels A redesign of the Prowler XTTM prompted the use of super tough Surlyn® by DuPont,TM a resilient resin-based material with a proven record borrowed from Arctic Cat snowmobile technology. Surlyn requires no painting, and is scratch resistant. 600 lb. Capacity Tilting Rear Cargo Box If you can haul it, you need to be able to dump it. That's why the Prowler® gets a 600-lb. capacity tilting rear cargo box. 2-Inch Receiver Need to pull up to 1,500 lbs. around? Not a problem. Pull your receiver out of your truck, place it in the 2-inch receiver on your Prowler and back up to that trailer. Dual Bucket Seats The more comfortable you are the more you'll enjoy the experience. These seats are designed to hold you firmly in place as you race, crawl and climb over most anything that comes your way.